Optic Nerve | Visionary Eyecare's Blog: "The Eye Journal"
See the Inside of Your Eye …. the Way Your Eye Doctor Sees It! TO SEE INTERNAL EYE STRUCTURES! Your Eye Doctor needs to see the internal eye structures of your eyes to determine if your eyes are healthy. You can move your mouse over the image above to see what your Eye Doctor sees during your Dilated eye health exam. The doctor can see your optic nerve, your retina, your macula and your blood vessels inside your eyes. Your doctor is looking for eye health changes like bleeding in your retina, tumors in your retina, macular degeneration, glaucoma, retinal holes, tears, detachments etc. Most eye health issues DO NOT cause symptoms until it is too late…that is why is it VERY IMPORTANT to have an eye exam every 12 months – even if your vision is not blurry and has not changed at all. Examining internal eye health can also help your Eye Doctor determine if you may have any SYSTEMIC problems going on that you may be unaware of – such as: Diabetes, High Blood Pressure, Cancer, High Cholesterol, Brain Tumors, Multiple Sclerosis, Sickle Cell Anemia…and many, many more. The sun can cause aging changes to your skin… and also to your EYES. Macular Degeneration and Cataracts are aging changes that can be brought on earlier in your life by exposure to the sun its ultraviolet (UV) radiation. Wearing sunglasses with good UV protection can be like wearing sunscreen for your eyes. There are many different types of eye cancer that can affect any part of the eye. A patient can get cancer on the Eyelids, the Conjunctiva (the “skin” over the white of your eye), the Iris (the colored part of your eye), the Optic Nerve (the nerve from the eye back to the brain), the Retina (the nerve layer inside your eye – responsible for your vision), the Choroid (the blood vessels beneath the retina) and more. The types of cancers that usually affect the skin (aka on the eyelids….basal cell carcinoma, squamous cell carcinoma, melanoma etc.. ) can be the same types of cancers that particularly thrive in sunlight and UV exposure – just like any other type of skin cancer. EVERYONE (including children) should be wearing sunglasses with UV protection any time they are outdoors. People who are particularly vulnerable are those with with blue eyes, light complexions, work outdoors, have had any PREVIOUS skin cancer or who are taking any medications that make them more light sensitive. 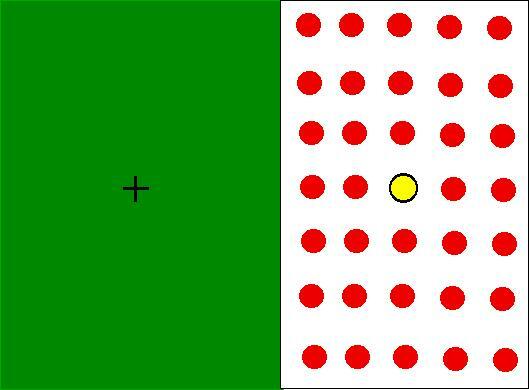 Optical Illusion….How Many Black Dots Do You See?? Here is an interesting Optical Illusion for you!! How many black dots do you see?? There are NONE!! Keep staring at one of the white dots….you will see that it is white and never black…only the ones that you are not directly staring at seem to be “blinking” black or gray. Cool huh?? 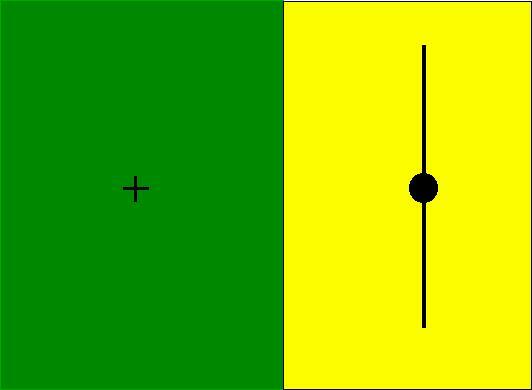 It is your Retina playing tricks with you….creating an AFTER-IMAGE.